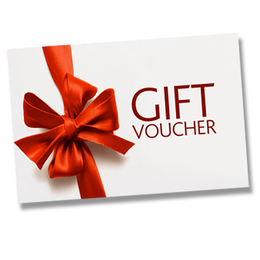 Electronic gift vouchers can be sent to recipients automatically. They will receive an email with the voucher code and secret key. Once they have finished shopping, they simply enter the voucher code and secret key at the last stage of checkout. The value of the voucher will then be deducted from their order. Any outstanding balance can then be paid via the other available payment methods. If they do not spend the entire voucher value in a single transaction, the remaining balance will be available on their account for future use.